While I am writing this, it brought back good memories of my actual day. 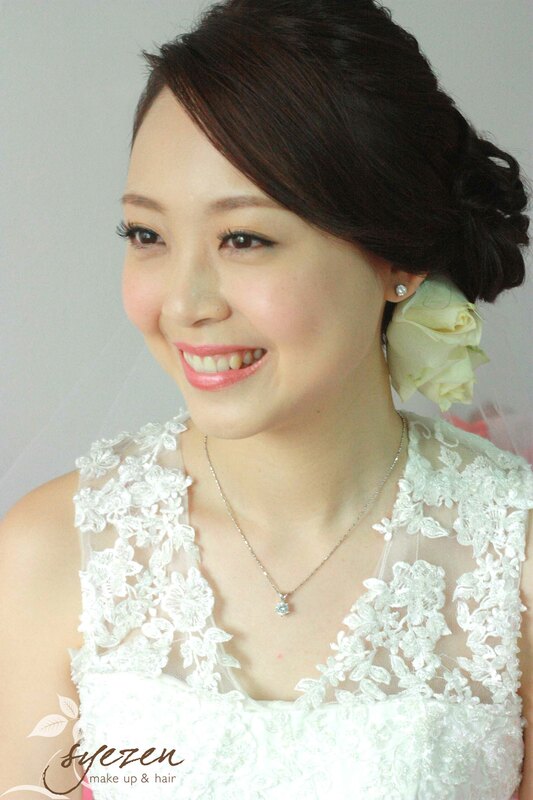 Thank you for making me beautiful on my big day. 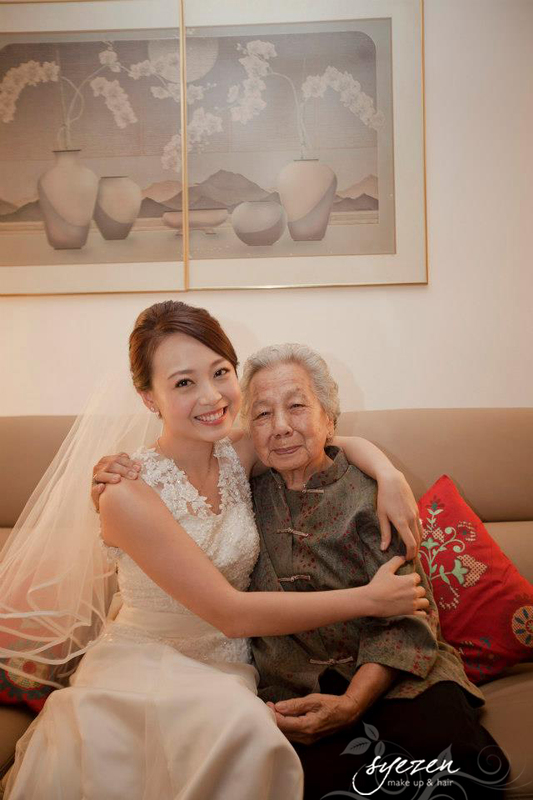 I received countless of compliments from my relatives and friends. Syezen is a very passionate person when it comes to her work. She initiated ideas on how to style my hair based on photos of my gown, telling me which type of flowers that I should be getting. 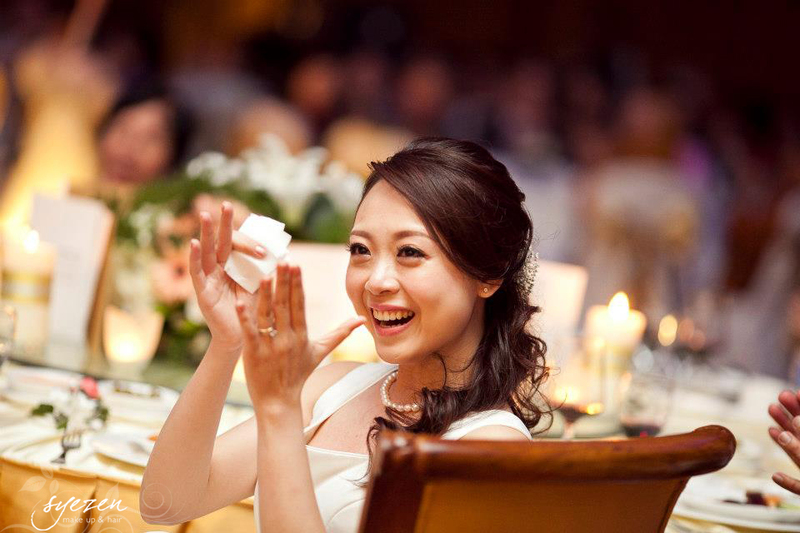 As for her make up, I know that I will love her work after looking at her work she did for my friend 3 years ago. 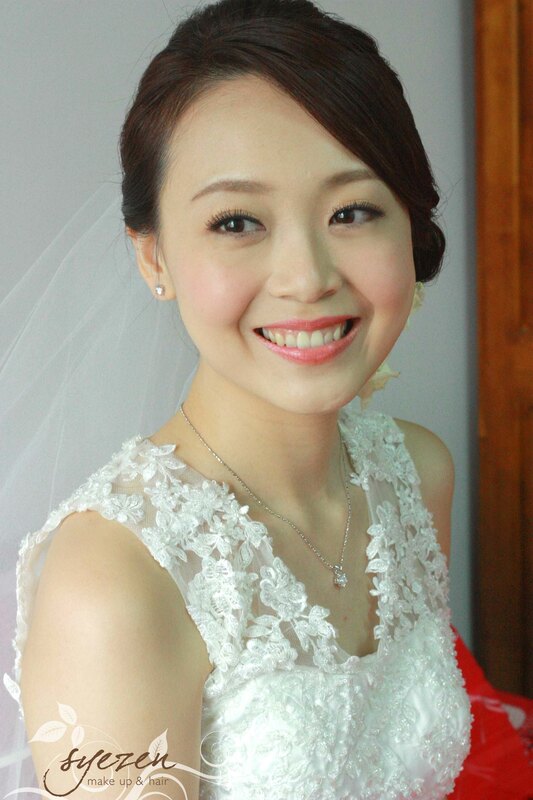 It made me even more confident to get her as my make up artist for my actual day after looking at her blog. Syezen managed to highlight my better features and hide the not so good ones, while I still looked very much like myself!!! 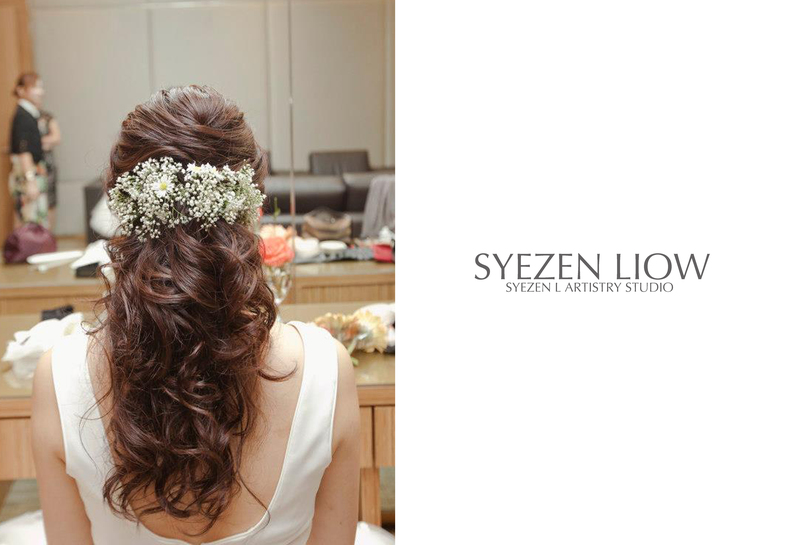 If you like simple and elegant make up, you should go to Syezen! I am glad to have you as my make up artist. Thank you for being a friend throughout the day and calmed both me and my husband down most of the time. All the best in your future endeavours!